Is a great source of inspiration and information for my Dedhampton Revolution historical what-if campaign. Each nation has a different bonus and choice of different leaders with their own bonuses. You win by gaining independence from your homeland. Jeremy Kostiew from MightyNightGaunt is working on a new logo for the show. He created the fantastic logos for the other shows on the Troll in the Corner Podcast Network. His work is still in the draft stage. But, you can see the logo on Facebook and Google Plus. The various incarnations are below for your viewing pleasure. Buy where you play especially if you pay for free. Treat the local store like your local bar. Shopping locally keeps the money you spend in the community where you live and work. Read my article Pay Where You Play? for thoughts on a compromise approach blending local game stores and internet vendors. We are now a publisher on Wargame Vault. 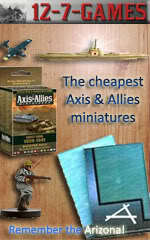 Check out our Wargame Vault Store. You can “buy” podcast episodes for FREE while you do your other shopping. In the future we’ll have PDFs on that storefront too. We are also a Wargame Vault Affiliate (affiliate link). When using our affiliate link, we receive a little compensation. This does not cost you anything. Where is the best place to get 10mm buildings/terrain suitable for the American Revolution? Do you think 15mm buildings are ok? Does it depend on the manufacturer such as JR Miniatures or Old Glory? What are your thoughts? Please post your ideas a comment to this post, e-mail us at CWFGAMECAST@WARGAMINGFORUMS.COM, or CALL us at (347) 470-4263.